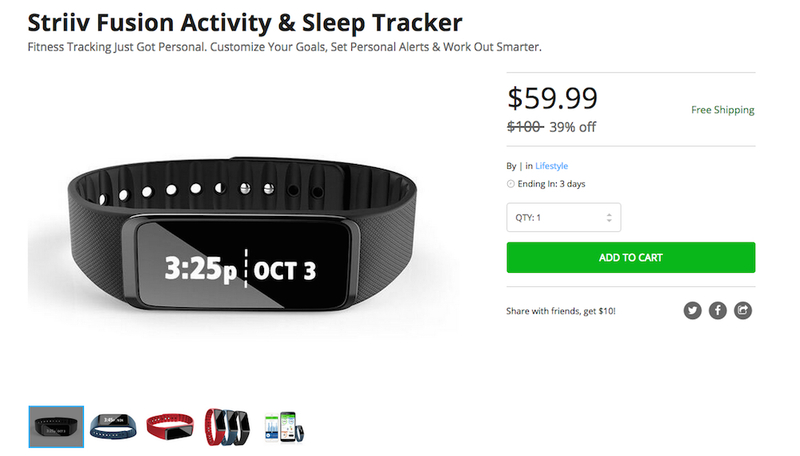 Your time to grab a Striiv Fusion activity and sleep tracker wearable device for just $60 on the DL Deals Store is running out. With Striiv Fusion, users can tracks their steps taken and calories burned, plus wake up with a soft vibrating alarm built directly into the device. In addition to those features, the Striiv Fusion also tracks your sleep quality and duration, giving users insight into their sleeping routine. Of course, the Fusion also offers notifications for text messages, emails, incoming calls, weather notifications, and more when paired with your smartphone. The Striiv Fusion comes with three different color bands – Black, Red, and White. That way it can go with whatever outfit you are rocking. If you are interested, hit that link below.